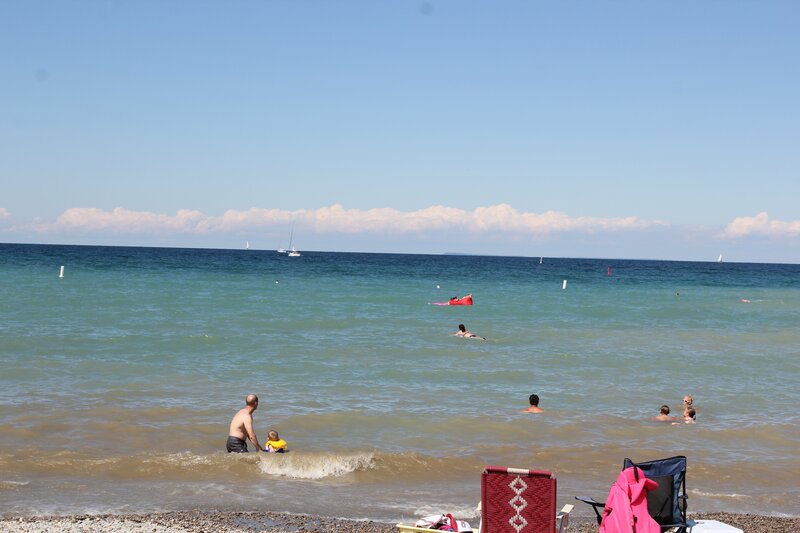 Grey County is known for their stunning fresh water beaches with bright blue water. 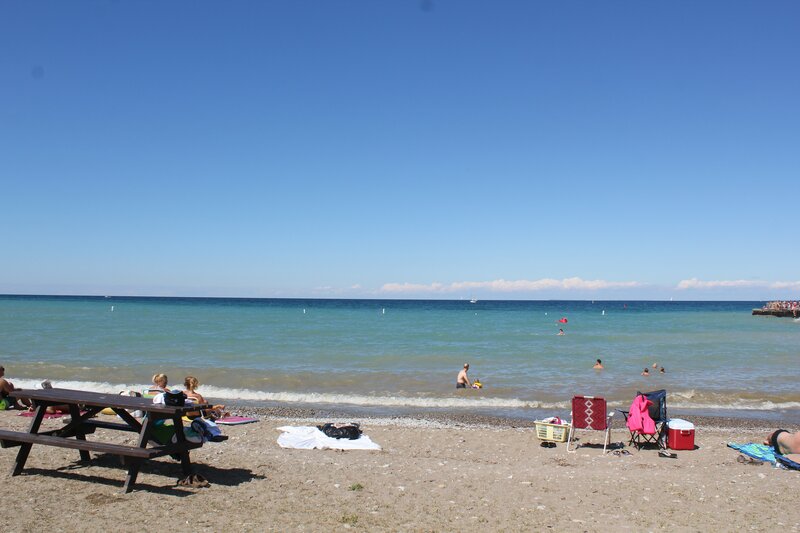 Some of the most famously known beaches nearby would be Sauble Beach or Wasaga Beach. The only downside about these beaches is how busy and hard to navigate they can be. 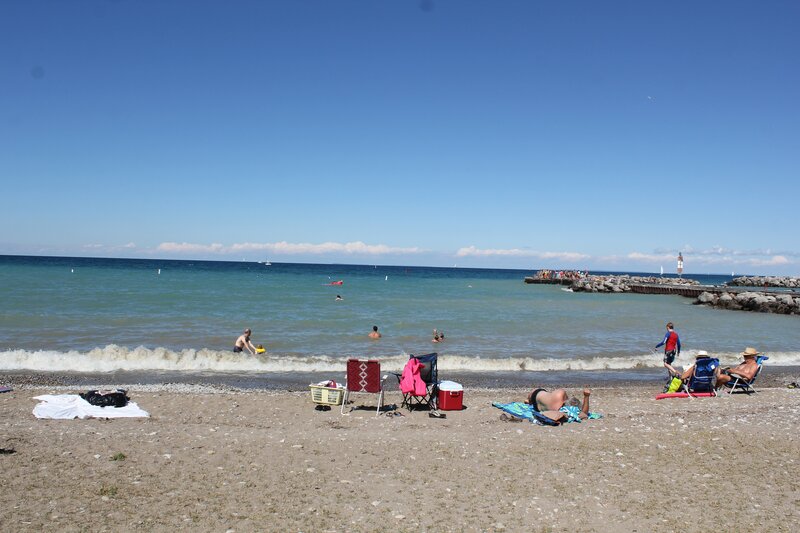 If you are in search of something a little more local, visit Little River Beach in Thornbury. It is only a right turn off of the 26 on Bruce street. You will find the beach very quickly. This spot is perfect for families with children or anybody hoping to take a dip. The beachfront includes a pier, which is often jumped off of during the summer. The beach is covered mostly in pebbles, and has surrounding grassy areas with trees for shade. This is great news if you aren’t a fan of sand everywhere or the sun beating down. Enjoy the view of passing by sailboats and the stunning escarpment from the shoreline. At the end of the day, come back to watch the stunning site of the sun setting behind the escarpment from the pier. The site also includes washrooms, change rooms, parking and a picnic shelter. Bring your pets so they can also enjoy some fun in the sun!